Adventurous spirits and long, sun-soaked days make summer the best time to throw an awesome summer birthday party. Not sure where to start? Be inspired by the below summer birthday party ideas guaranteed to be a huge hit. Pokeman is still a thing and that's because of the new Detective Pikachu film. Deck your kiddos party after the beloved character and don't forget all the fun Pokeballs and treat bags, like these adorable catchalls from The Homes I Have Made. Floral themes scream summer, and what better way to celebrate your kid than with a custom-designed flower party? Alice's Table is a professional service that brings everything you'll need (flowers, clippers, water and more) to create a flower crown right to your home. They'll even provide a party page and invites if needed! Available in 31 states. There's nothing more classic, or in demand, than a water play party. From cup races to paddle pools, there's no end to the refreshing fun! Check out our list of ultimate water party games for ideas. With the release of Sherlock Gnomes this year, gnomes are more popular than ever. This party theme leaves lots of room for creativity: woodland themed snacks and hand-made gnome hats and other crafts and activities like these. With Jurassic World hitting the theaters soon, expect to see an above average number of dino bashes on the party circuit this summer. We love these ideas from Jessie's Party Stop, including a dino egg hunt, paper vines and obstacle course! See the details by clicking here. With its tropical, floral setting, a Moana party is a gorgeous one, especially if you use some of these fun ideas from Catch My Party founder Jillian Tobher Leslie. Her Moana party recommendations include a layered hibiscus flower cake, frosted flower cookies, and adorable crab-shaped croissants. If you're looking for activities, check out these fun (and free!) printables from Virtually Yours. Take advantage of bright days to throw a party outside at your favorite park. From packing simple picnic food (we love finger foods you can make ahead) to coordinating fun outdoor games, click here for ideas that can last you well into fall. You don't need a pool to make a splash with a water-themed bash. Decorate with all things mermaids like this set up from Bashery & Co. Hand out sunglasses and set up a sunscreen station. Slip and slides, water balloon games, and a sponge ball toss are just a few of the fun ways your guests can cool down in the summer heat. For more wet fun check out these ideas. Kids who love to explore will have a blast at a camping-themed adventure party. Set up tents to give party-goers a shady spot to enjoy their s'mores. Pass out magnifying glasses as take-home favors, and create plenty of engaging entertainment with a nature scavenger hunt. It really wouldn't be summer without a trip to the movies to watch a blockbuster. Bring the big screen to your backyard with a film fanatic's bash fit for an award. Toss a few blankets and cozy pillows around the lawn, then put together a popcorn bar and project your favorite family-friendly flick on the side of your house or on a sheet while you relax under the stars. There's something magical about those dog days when the sun is still shining long past most kids' bedtime. Sprinkle your party with a little bit of that magic and invite the faeries and forest creatures to create an unforgettable summer birthday party. Pass out fairy wings and flower crowns to party guests, paint faces, make nature-themed crafts, and tasty treats. Nothing says summer to sports fans like a day at the ballpark. Serve up hot dogs, Cracker Jacks, and baseball cupcakes like these from SIMONEmadeit. Have gloves and balls handy for kids to toss and don't forget to have all the party guests sign a baseball as a special token for your baseball-loving birthday kid to cherish. It really wouldn't be summer without a trip to the beach. Set up a sandbox and let the kids dig for buried treasure. Play hot potato with a beach ball. Serve up refreshing beachy treats, like popsicles and watermelon. Give the guests sand buckets and shovels, or this adorable sandcastle kit from Mama Papa Bubba, as take-home favors. Cast your line and reel in some excitement with a fishing themed birthday party. You don’t have to have access to a lake to catch some fish, instead set up a kiddie pool and play go-fish with DIY fishing poles with magnets like these. Serve up kid classics, like worms in dirt, and send your guests home with these adorable skipping stones from Bash Please. Ice cream and summer go together like ... well, ice cream and summer. This match made in birthday party heaven will not only give guests a sweet treat, but it will also keep them cool in the heat. Set up an ice cream bar like the ones featured here and they'll have a blast coming up with their own concoctions. Take advantage of those warm summer nights with a party after dark. 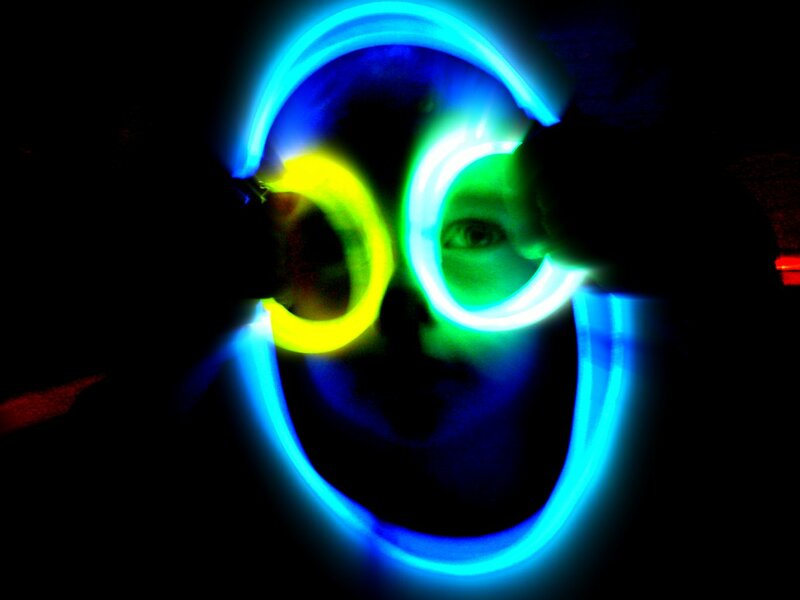 Set up your party space with black lights and pass out glowing accessories, like bracelets and glasses. Set up glow-in-the-dark games, like hopscotch, and let your guests get creative with glow chalk, like this DIY recipe from Growing A Jeweled Rose. Check out these dark play ideas for more glowing activities. Send your party soaring to new heights with a kite flying birthday bash. For the main event, guests can make their own DIY kites from kits like these from Kites On A Roll. Serve up some kite-shaped cakes and cookies. If the wind is in your favor, your guests can spend the rest of the day flying their kites in the summer sun. Emoji parties are still all the rage. For this one, you can cover every inch of your party space in those playful emoticons, from cookies and cakes to balloons and banners. Play pin the face on the emoji and set up a photobooth with emoji props. For more smiley fun, check out these awesome ideas from Spaceships and Laserbeams.